New Beginner’s Mind Experience group! The next Beginner’s Mind Experience peer group starts on Monday, May 6! The registration deadline is Wednesday, May 1. All new members at the Brooklyn Zen Center (BZC) are strongly encouraged to take part in the Beginner’s Mind Experience (BME), a 3-month introduction program to the various aspects of community practice at BZC. 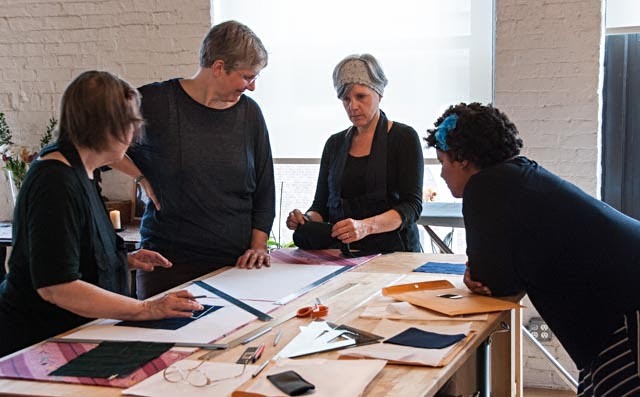 As part of this program, members have the opportunity to join a peer practice group and experience various forms of wholehearted activity practice. BME participants also receive special rates on two introductory classes (discount available for one year): Meditation in Everyday Life (starting June 4!) and Introduction to Zen Buddhism. The program provides members with a sense of the variety and intimacy of zen practice in the BZC community and also offer embodied experience with how we can engage these practices in our daily lives. To take part in the Beginner’s Mind Experience you must be a BZC member. The registration deadline for the next BME group is Wednesday, May 1. In response to feedback received from our sangha, the new BME group will be meeting during week days. Undoing Patriarchy and Unveiling the Sacred Masculine is a monthly group of Zen practitioners who identify, or are identified, as male coming together to explore the construct of patriarchy, its impact on our lives, our communities, and to work towards developing our sacred masculine identities; those dynamic and restorative aspects of masculinity that strengthen our ability to cultivate wisdom, compassion and community. Together, we will contemplate what the cost of patriarchy has been for the lives of everyone along the gender spectrum: How does patriarchy obstruct the expression of a sacred masculine identity? Could the expression of a sacred masculine identity lie at the heart of undoing the violence of patriarchy in our sanghas and communities? The group will be meeting on Sunday, April 28, 10am – 12:30pm. No registration required, no meditation experience necessary. Come as you are! Tenshin Reb Anderson will be returning to Brooklyn Zen Center this year to lead a five-day sesshin (June 19 through 23). The sesshin will focus on Zen Practice and Buddha Activity and registration is now open. Scholarships for this offering are available – please apply by April 29. This offering will likely fill out quickly, so register early to secure your spot. Tenshin Reb Anderson is a visiting teacher at Brooklyn Zen Center and has been offering yearly five-day sesshins in our community for the past decade. Join us in the June sesshin and in welcoming Tenshin Reb Anderson back to Brooklyn! On March 3, a joyous ceremony took place at San Francisco Zen Center: the grand stepping up of the new Abbot Tenzen David Zimmerman.The complete video of the ceremony can be found here. This month several Zen students will begin sewing rakusu, the small Buddha robe worn around the necks of lay practitioners and priests. In preparation for jukai – the ceremony where each will receive the Bodhisattva precepts – they will be sewing together from now through the summer. During this time they will take refuge in the Buddha, dharma and sangha with every stitch sewn. This is a joyous time of sangha support as we all take refuge with them in their vow to take up the Bodhisattva way of life. Images by Byron Wollen, 2017. This weekend (March 1-3), the San Francisco Zen Center will be hosting a very special ceremony: the grand stepping up of the new Abbot Tenzen David Zimmerman. The Mountain Seat weekend at City Center will also include ceremonies marking the stepping down of Ejun Linda Ruth Cutts as Central Abbess and the stepping over of Rinso Ed Sattizahn into Central Abbot. Tenzen David Zimmerman has served as the BZC Tanto (Head of Practice) and received dharma transmission from BZC root teacher Soshin Teah Strozer. For more information on David and to learn about other abbatial changes, see the letter from Central Abbess Eijun Linda Ruth Cutts here. More details on the schedule of events are available here. On Sunday, March 3, the Mountain Seat Ceremony will be livestreamed beginning at 6pm Eastern Time. BZC will host a community gathering for those who wish to watch together. Just because this picture always puts a smile on our faces! Every single time. Black and Buddhist in America gathering, October 2018. From Lion’s Roar March 2019 issue. Photo by Garlia Cornelius. 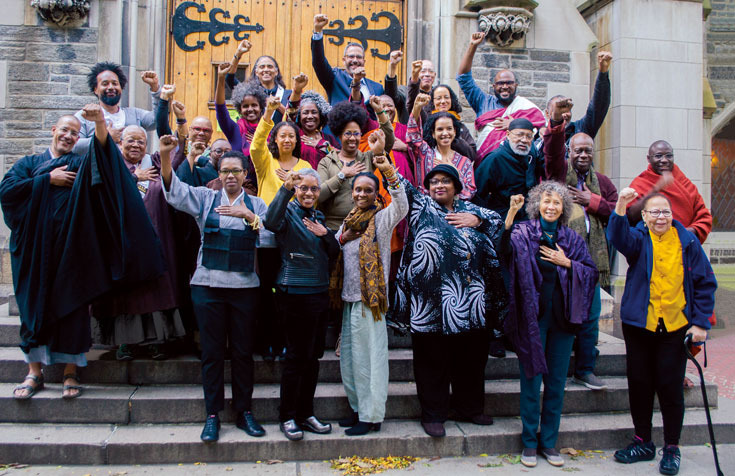 On October 21, 2018, Buddhist teachers of black African descent from across the country gathered at Union Theological Seminary in NY for “Black & Buddhist in America,” a conversation about dharma, the state of the world, and what it means to be a black Buddhist in America today. A livestream public dialogue concluded the weekend, with a historic panel discussion of Buddhist teachers of black African descent from many different Buddhist traditions, including Rev. angel Kyodo williams, Lama Rod Owens, Kaira Jewel Lingo, and Sebene Selassie, among many others. Please note that on Saturday, February 16, Brooklyn Zen Center’s regular programming is canceled for the day, due to the day-long zazenkai retreat. Meditation instruction will still be offered from 9 to 9:45am but there will be no public program afterwards. Awake Youth Project (AYP), a secular program that brings mindfulness and meditation to underserved high schools throughout Brooklyn, will be offering free after-school drop-in meditation sessions for teenagers on February 5, 12 and 19, from 4 to 6pm, at the Brooklyn Zen Center. More information is available here. The AYP Spring Internship, a 12-week program for participants aged 14 to 18, will run from February 27 through May 22, with meetings on Mondays and Wednesdays from 4 to 6 pm. Applications are due February 15! Due to inclement weather and hazardous travel conditions, all of the programming for the evening of Wednesday, January 30, has been cancelled. Morning zazen on Thursday, January 31, is also canceled due to the extreme cold. Wishing everyone stays safe and warm! The life of our sangha was rich and deep during 2018. Amongst retreats, classes, dharma talks, conferences and gatherings small and large, the BZC community showed up in diverse and engaged ways within the walls of our beloved practice space in Brooklyn and out in the world. This selection of images is not intended as a complete representation of the life of our sangha during the past year, but it’s rather a glimpse into the richness of BZC’s practice and commitment. Many other events and practice manifestations unfolded during the past year and are not included here, but all will continue to ripple into 2019. May we continue to practice together in this way in the years ahead! The Okesa has been born! Okesa (Buddha’s robe) was born yesterday at 6 pm. It is 4.5 feet (height), 6.5 feet (width), and weighs 2 pounds. The Brooklyn Zen Center sangha had been sewing a nine-fold okesa (full-body robe) for dharma teacher and senior priest Rev. Kosen Greg Snyder, in a practice lead by Kikuko Morimoto.